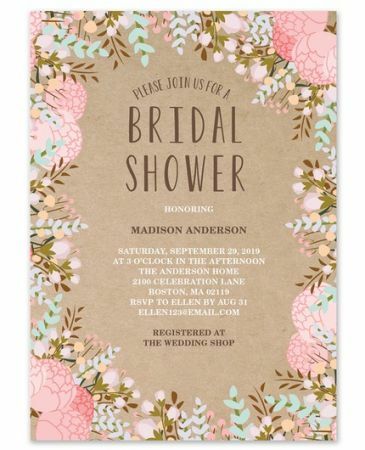 A floral bouquet of peonies frames this bridal shower invitation against a faux kraft paper background. “Please join us for a Bridal Shower” is pre-printed in simple typography at the top of the card. Add the custom event details for a personalized look.